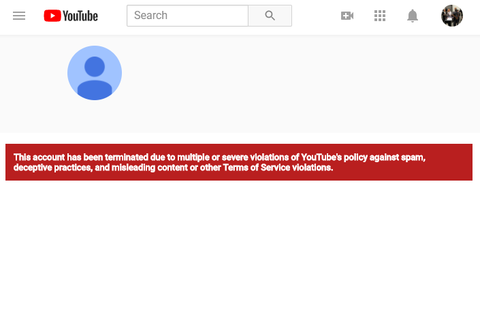 APOPKA, Fla. – On Tuesday, YouTube banned the channel belonging to Spike’s Tactical, a well-known gun and AR-15 manufacturer, without prior notice or warnings. However, according to representatives from Spike’s Tactical, they claim they have not received any prior warnings about the content of their channel and feel they are being targeted because they are a gun manufacturer and for their vocal support for conservative issues. While Spike’s Tactical has been known for delivering controversial marketing materials across other mediums, their YouTube page has remained nearly entirely educational and served the purpose of demonstrating their products. “While we rarely believe in government intervention, with the recent exposure of Google, YouTube and Facebook’s power and their demonstrated manipulation of the masses, we believe something needs to be done to ensure the public is able to continue to be able to express themselves freely, even if it is something we don’t necessarily agree with, but especially when it is something that is constitutionally defined as a right,” said Cope. In addition to this recent issue with YouTube, Facebook has continually prohibited Spike’s Tactical for paying to boost their posts because they are a gun manufacturer, representatives from the company said.